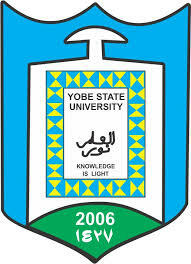 Yobe State University, YSU Direct Entry admission list (First & Second batch) for 2018/2019 academic session is out. The released Yobe State University admission list is for candidates who applied into 200 Level and 300 Level programmes of the University via Direct Entry (DE). Candidates who applied for Direct Entry admission at YSU can therefore now view and download the admission list in PDF format. Since the YSU DE list has been uploaded to YSU admission status-checking portal, this is possible. Visit the JAMB Portal to ACCEPT or REJECT your admission offer. See How to Reject/Accept Your Admission on JAMB CAPS. Any candidate offered admission into a programme other than his/her first choice should kindly visit the JAMB Portal to effect change of course/institution. Candidates who can’t find their names on the first list should note that the YSU released a Second and final (supplementary) Direct Entry list last session. This year might be the same. Stay with us here. We congratulate all candidates whose names appear on the first and second batches 2018/2019 Direct Entry admission lists of Yobe State University (YSU).